The intention is to see what outcome, if any, commands a majority. Could any of them help tackle the Irish border issue? What is the border issue? 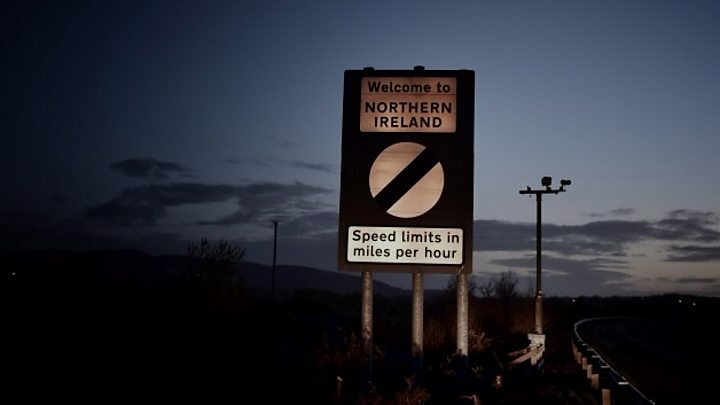 Goods and services are currently traded between Northern Ireland and the Republic of Ireland with few restrictions because the UK and Ireland are both in the EU's single market and customs union. That means products do not need to be inspected for customs or checked that they meet EU standards. But after Brexit the two parts of Ireland would be in different customs and regulatory regimes, which could mean products being checked at the border. However, the UK's current red lines, which include leaving the customs union and the single market, make that very difficult. There are eight different options, but the ones most relevant to the border concern the customs union and the single market. There is one proposal on the customs union, one on the single market and one which effectively brings the two together in what is referred to as Common Market 2.0. This option commits the government to negotiating "a permanent and comprehensive UK-wide customs union with the EU". That would mean that, just as today, there would be no tariffs on goods being traded across the Irish border. So no need for the sort of customs posts found on the borders of EU member Sweden and non-EU Norway. However, it would also effectively prevent the UK from striking independent trade deals with other countries. And it would unequivocally not eliminate the potential for border checks in Ireland. Customs are not the only things which could be enforced at the border - product standard checks, particularly for food, are more likely to be a border issue. Which brings us onto another option. This option proposes that the UK remains in the European Economic Area (EEA) and rejoins the European Free Trade Association (EFTA) as soon as possible. In effect that would mean the UK would stay in the single market. That would largely eliminate the need for any product standard checks at the Irish border. However, most trade in agricultural products is not included in the EEA Agreement, so the proponents of this option acknowledge that additional protocols would need to negotiated in regard to agri-food and the border. Speaking in Brussels last month, Taoiseach Leo Varadkar expressed some support for the EEA/EFTA option. He said: "There are potential solutions out there should the UK government and UK parliament wish to avail of those options." This option brings the first two together: It proposes membership of the European Free Trade Association, alongside a temporary "comprehensive customs arrangement" and protocols relating to agri-food trade. It is also explicit in the belief that this would solve the border issue and remove the need for the backstop. The backstop is the arrangement in the prime minister's deal which would apply if the border can't be kept frictionless through a trade deal. It would see Northern Ireland alone staying aligned to some rules of the EU single market, which makes it unacceptable to Northern Ireland unionists. The proponents of this option say it would also involve a legally binding joint statement with the EU that the implementation of Common Market 2.0 would lead to the backstop being "superseded in full". Will any of these get enough political support? In the first round of votes a version of the customs union proposal was just six votes short of a majority. It is attractive to some MPs because it offers the softest possible Brexit without reopening the question of freedom of movement. However, both the single market and Common Market 2.0 bring freedom of movement back onto the agenda. EFTA members are generally required to follow EU commitments on free movement. Liechtenstein has an effective opt out because of its tiny population. 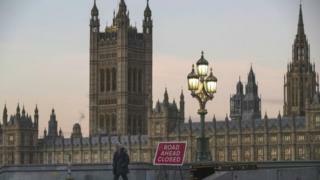 Voting is expected to begin at 20:00 BST. Here's a breakdown of the options listed on the order paper.